Farhan Akhtar, who is currently busy filming 'Wazir', is travelling to Srinagar, Kashmir for the movie's final shooting schedule. 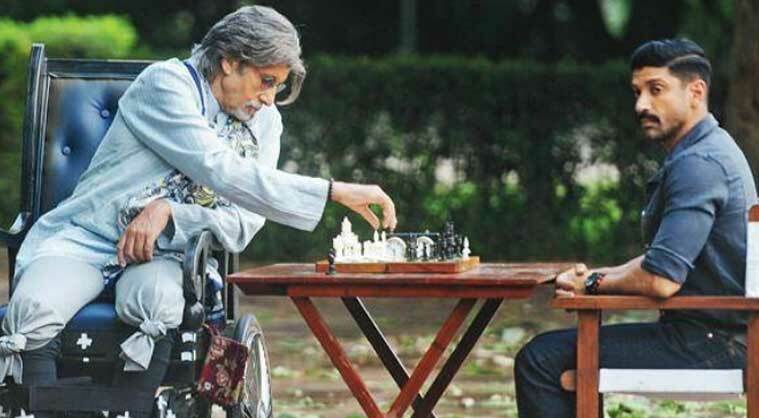 ‘Wazir’, which has been directed by Bejoy Nambiar of ‘Shaitan’ fame, also stars Amitabh Bachchan, besides Farhan Akhtar. Actor-director Farhan Akhtar, who is currently busy filming ‘Wazir’, is travelling to Srinagar, Kashmir for the movie’s final shooting schedule. The upcoming drama, which has been directed by Bejoy Nambiar of ‘Shaitan’ fame, also stars Amitabh Bachchan, besides Akhtar. “Off to Srinagar now for the final schedule on ‘Wazir’.. Flight delayed by an hour… good things come to those who wait, I guess,” the 41-year-old ‘Bhaag Milkha Bhaag’ star posted on twitter. Aditi Rao Hydari play the female lead in the film, which has been produced by Vidhu Vinod Chopra, Aquib Khan and Rajkumar Hirani. ‘Wazir’ went on floors in September last year.